At Miller & Zois we frequently handle personal injury cases involving all types of traumatic brain injuries. Whether they result from a car accident or medical malpractice, brain injuries are always very serious. A diffuse axonal injury (DAI) occurs when the connective nerve fibers (axons) in the brain are sheared or torn when the brain bounces around inside the skull during a traumatic impact. A diffuse axonal injury is one of the most serious types of traumatic brain injuries resulting in damage to numerous parts of the brain. DAI injury frequently results in a coma or persistent vegetative state. What Types of Accidents Can Cause Diffuse Axonal Injury? Diffuse axonal injury (sometimes called a "shearing" injury) occurs when the brain is violently thrust forward and backward impacting the inside of skull cavity. This occurs when the head rapidly accelerates and/or decelerates in response to an external force such as whiplash in a vehicle collision. Direct impact on the head not necessary for DAI to occur. High-impact car accidents are by far the most frequent cause of diffuse axonal brain injuries. But diffuse axonal injury can also be caused by blunt force impacts to the head in a fall, assault or other accident. Below is a summary of the underlying facts in recent verdicts and reported settlements from cases involving a diffuse axonal brain injury. These should be used for informational purposes only as all cases are unique. Plaintiff v Defendant Property Manager (New York 2018) $3 million: Plaintiff, 28-year old marketing associate, was hit in the head by a heavy ceiling tile that fell from the ceiling of an office building. Initially his head injury appeared to be minor but it was later found that he suffered diffuse axonal shearing. The injury left him with permanent cognitive disabilities preventing him from working. Clarke v Austin (New York 2017) $50,000: Defendant driver hit an 8-year old pedestrian with his vehicle at a busy intersection. The impact caused the boy to suffer diffuse axonal brain injury of moderate severity. The case settled for $50,000. Why so little? This was the limit under defendant's insurance policy. KD Pro Ami v State Farm (California 2017) $125,000: Plaintiff (13 years old) was crossing the street on his skateboard when he was run over at low speed by the defendant - a teenage driver making a left turn. Plaintiff suffered diffuse axonal injury and was unconscious for an extended period of time. He also fractured his hip and lost several teeth. The case settled for full policy limits of $125,000. Moore v State of California (California 2017) $59.2 million: The primary plaintiff was a 20-year old road excavation worker who was run over at a highway jobsite. He suffered severe diffuse axonal brain injury leaving him in a permanent vegetative state. He sued the California Department of Transportation (CDOT) for negligently failing to control traffic and ensure safety at the road work site. His co-worker who nearly got hit and witnessed the event also sued for emotional distress. A jury in Humbolt County found CDOT 100% liable and awarded $59.2 million in damages. Rogers v Major (New York 2014) $100,000: Plaintiff, a 22-year old college student, was walking across city intersection when he was hit by the defendant in his car. Plaintiff suffered a diffuse axonal injury resulting in significant mental impairment. The case settled for policy limits. 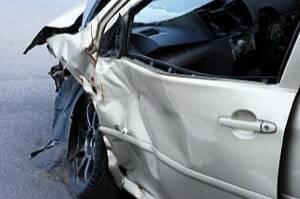 Chadiez v Garfara Transport (California 2012) $1 million: Plaintiff lost control of her car on a highway and after coming to a stop she was rear ended by the defendant driving a large tractor trailer truck. Plaintiff suffered a diffuse axonal injury with intracranial hemorrhaging. She also fractured several ribs. The case settled for the truck company's policy limits. Neidinger v American Mutual Ins. (Wisconsin 2010) $1.1 million: Plaintiff was jogging on a sidewalk when she was hit from behind by a 2000 Chevy Impala. The impact caused scattered diffuse axonal injury to her brain. She also suffered an AC shoulder tear, dislocated knee, and other injuries. The case was settled after a pre-trial settlement conference. Scrodin v Redwood Fire & Casualty Co (California 2010) $1 million: Plaintiff, 48-year old small business owner, was sideswiped on the highway causing his car to roll over numerous times. Plaintiff ended up with fractured ribs, a fractured shoulder and diffuse axonal brain damage leaving him with permanent memory loss, total loss of smell and taste and other cognitive problems. Weimer v Classen (Washington 2008) $500,000: Plaintiff, a 29-year old construction worker, was riding his motorcycle when a left-turning transport van struck him. He suffered a diffuse axonal brain injury and was in a coma for over a month before he eventually died. The case settled for policy limits of $500,000. Dahl v Joussett (New Jersey 2007) $595,000: Plaintiff, a 19-year-old student, was stopped at a red light when she was rear ended by a drunk driver. She suffered diffuse axonal brain damage which left her with speech difficulties and balance problems. She also had back injuries and a fractured hip. If you or a family member suffered a diffuse axonal brain injury (or another type of brain injury) in an accident that was caused by someone else's negligence, contact Miller & Zois. Cases involving brain injuries are more complicated than other types of personal injury cases. You need lawyers who are experienced and understand the science of brain injuries. The brain injury attorneys at Miller & Zois can help you investigate your case and find out if you may be entitled to compensation. If you have a brain injury case and want an experienced firm who can take the case to trial, call 800-553-8082 or get a free online consultation here.